Are you frustrated and struggling in practice? Just getting by? Not enough month left at the end of the money? Is this really what you signed up for after years of school, struggles starting a practice? To just make a living? Barely getting by? Wondering how you will pay the bills? Why? Many reasons, but mostly because you don't have a game plan! Why not? No one taught you one! If you've ever been to a practice management seminar, the information is 25 years old; this isn't going to help you today! The internet should be your number two source of new patients, it didn't even exist 25 years ago! 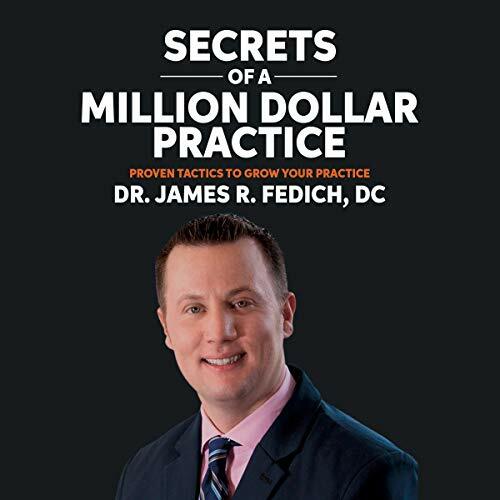 Dr. Fedich got tired of gurus who haven't practiced in 25 years giving advice. And even though he is successful and busy, he thought it was time to pass his knowledge to others. Monthly promotion calendar with examples! This is years of information, thousands of successes and failures, boiled into one audiobook! Mastered from someone in the field doing it today, doing it well, and doing it daily. Why reinvent the wheel? Use the tactics that are still working today!